Moong Dal Kachori: Delicious spherical pastries filled with spiced split mung beans. 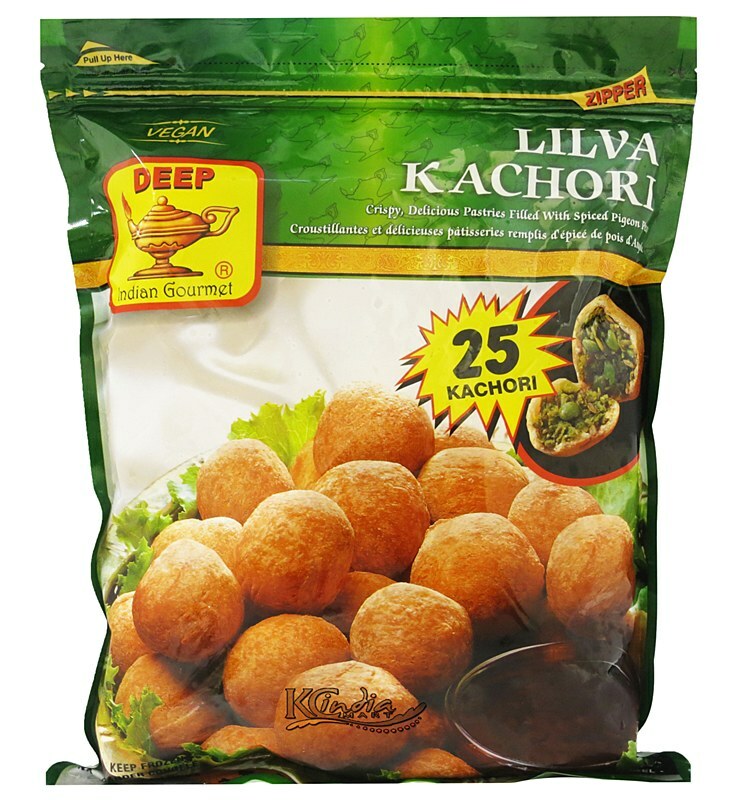 Ingredients: Filling: Moong Dal (Split Moong Beans), Canola Oil (Expeller Pressed), Water, Chickpea flour, sugar, spices, salt, sesame seeds, green peppers, peanuts, mango powder, corn oil, garlic, mint, turmeric, pomegranate seeds, sodium bicarbonate. Pastry: Wheat flour, water, corn oil, salt. 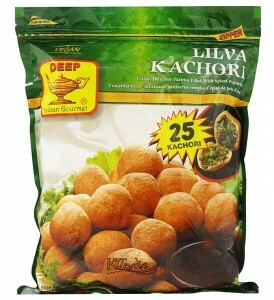 Lilva Kachori also available. 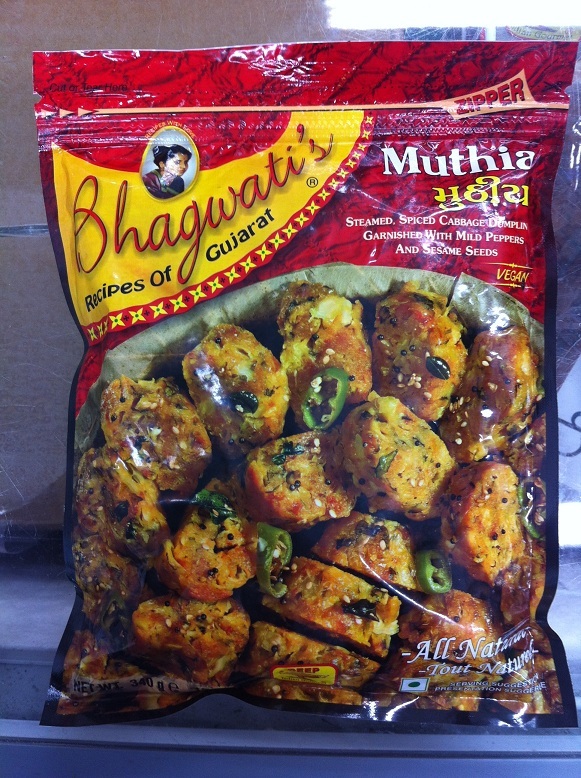 A friend’s instant review of these was “It’s like eating a flower!…No, it’s like eating a curry flower!” 🙂 Ingredients to come. Cocktail Potato Samosa: Tiny crispy triangles filled with spicy potatoes. Excellent finger food or to have a snack. 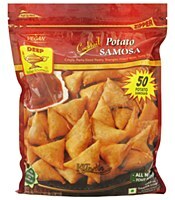 There are also Cocktail Channa Dal Samosas for people who like their food hot.